In the late 1970s/ early 1980s an electronics expert, Paul Bennewitz, see The Dulce Papers living in the vicinity of Kirtland Air Force Base near Albuquerque - New Mexico, inadvertently intercepted radio transmissions from the base apparently containing information about UFOs and aliens. Bennewitz initially was intrigued but eventually became horrified by the disturbing contents of the secret messages and the fact that the general public were unaware of the apparent covert collaboration between elements of the U.S. establishment and an alien force. With this in mind Bennewitz began to put an increasing amount of time and effort into attempting to intercept and investigate more of the radio signals. Bennewitz's activities came to the notice of certain members of the intelligence community, one of whom decided to approach Bill Moore, a former special agent in the Air Force Office of Special Investigations, asking him to monitor and report back on the activities of Bennewitz. In return Moore, who had now become a UFO researcher himself, was provided with classified information about UFOs and aliens. Moore was not only successful in supplying the necessary information to the members of the intelligence community but also (reputedly) fed misleading information to Bennewitz. This made it possible to discredit Bennewitz - in other words declare him a crank - should he disclose any of the details contained in the classified messages he had intercepted. In fact, in a most unnecessarily cruel way, they succeeded in gradually causing Bennewitz to suffer an enormous nervous and physical breakdown. Meanwhile, according to leading UFOlogists and other observers, Moore was rewarded by receiving the Majestic-12 papers. The Majestic-12 Papers are covered in detail on this web site. Whilst all of this was ongoing, Moore disclosed what was happening to fellow UFOlogist Jaime Shandera. In 1982, Moore and Shandera began to receive officially classified information regarding UFOs and whilst attempting to verify the material they came across several other members of the intelligence community who were willing to disseminate information. In order to protect the identities of these members of the intelligence community, Moore and Shandera decided to give them pseudonyms - as the first was designated "Falcon", the rest were given "bird names" - hence collectively they became to be known as "The Aviary". "The Aviary" was a group of individuals who, rather than being just a number of low grade intelligence agents, were working (or had worked) at very high levels with very high security clearances; it is almost certain that they became involved in the UFO phenomenon in the early 1970s and included both active and retired military and intelligence officers. It seemed that their primary objective was to make known to the general public, details of the government's involvement with extraterrestrials and technology gained from crashed UFOs etc… However, it is probable that the members of the Aviary had joined forces in order to gather information on the Majestic-12. As members of the intelligence community, they had all been involved with or had contacts in the UFO field and their aim was to access secret files and gather information which would provide them with a greater understanding of that "above top-secret, shadow group" - the Majestic-12. "Established constant direct communication with the alien……. Subsequent aerial and ground photographs revealed landing pylons, ships on the ground……… aliens on the ground in electro statically supported vehicles……… charging beam weapons. The aliens are picking up and "cutting" people every night…… whether all implants are totally effective I cannot predict….. Conservatively I would estimate at least 300,000 people have been implanted in the U.S……. at least 2 million worldwide." 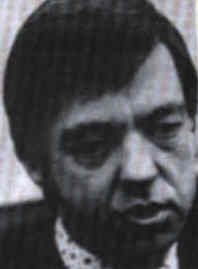 Presumably Bennewitz, being an acknowledged electronics and communications expert, was an astute man who was not easy to fool and it would be reasonable to assume that the original messages he intercepted were "genuine" and must, surely, have contained information about UFOs/aliens - otherwise why would the disinformation fed to him relate to "horrific" events involving the abduction of human beings and the insertion of "implants"? Surely disinformation is of no use or value if it does not "blend in" with valid facts. Where the truth began and ended in the information collected by Bennewitz is debatable but one thing is without doubt true - the content of the intercepted messages certainly caused Bennewitz to become a paranoid and deluded man who eventually suffered a colossal nervous breakdown in 1985. There is no doubt at all that the U.S. Military and Intelligence agencies have been involved in experimentation on human beings (without their knowledge or consent) for decades, so perhaps some of the more bizarre messages intercepted by Bennewitz could well have been more truthful than at first glance - See MK ULTRA on this site. According to Jaime Shandera, UFOlogist and research partner to Bill Moore, when discussing the Aviary: "We wanted the information but didn't want to reveal where we got our clues. To maintain anonymity, I gave Bill's source the name "Falcon", the next source we used we called "Condor" and so on until we had 24 contacts from all levels of the government. It was my idea to use bird names." When asked if the Aviary regarded disinformation as its main objective, Shandera replied: "No, but sometimes you have to misdirect the truth in order to protect your source. Disinformation is an escape route; you can discredit an entire project by referring to the one bad apple you've planted". Researchers believe they now know the identities of some members of the Aviary, indeed one man, Commander C.B. Scott Jones - a retired Naval Intelligence officer, admits there was such a group and is endeavouring to persuade the U. S. Government to reveal more about their knowledge of UFOs. Scott Jones remarked: "I was in Naval Intelligence for 15 years and I never saw any documents relating to UFOS. I am skeptical about a lot of the evidence, I don't find it compelling but I believe there is a very high probability that we're being impinged upon by non-Earth intelligence. The Aviary has not met for years, the only exception being those who are just friends". Whatever the initial aims of the Aviary were , it does seem that the faction which wished to discredit UFOlogists was, ultimately, the dominant influence on the actions of the group - Moore and Shandera being just manipulated pawns in a campaign of disinformation, design to devalue any genuine information collected by researchers. 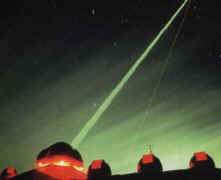 Military Scientists monitor the skies (Starfire laser telescope). Sandia National Laboratories - Albuquerque, New Mexico. 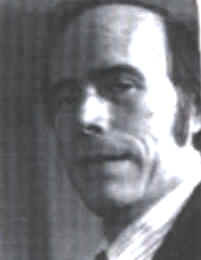 A member of Army Intelligence, involved in mind control experiments. Admitted to being a member of "the Aviary" - probably was known as "Falcon". Christopher Green, M.D. - Known as "Bluejay. CIA officer - involved in "remote viewing", later chief of Biomedical Sciences at General Motors. Jacques Vallee Ph.D. - "Partridge"
Captain Robert Collins - "Condor" - Special Agent Office of Special Investigations - involved in UFO Intelligence activities. Ernest Kellerstraus - "Hawk" - Worked at Wright Patterson Air Force Base, involved with alien/ufo research. Richard Doty - "Sparrow" or some believe "Falcon" - USAF Office of Special Investigations. Jack Vorona - "Raven" - researcher into psychic warfare. Ronald Pandolphi - "Pelican" - Deputy Director for the Division of Science and Technology at the CIA. Pandolphi has secretly leaked UFO information for several years. Henry Kissinger - see "Conspiracy" and New World Order" on this site. Barry Hennessy - Former head of AFOSI. General Albert Stubblebine - "Heron" - head of US Military remote viewing and psychic warfare activities. Brent Scowcroft - US National security advisor. "Behind the scenes high-ranking Air Force officers are soberly concerned about UFOs. But through official secrecy and ridicule, many citizens are led to believe the UFOs are nonsense".